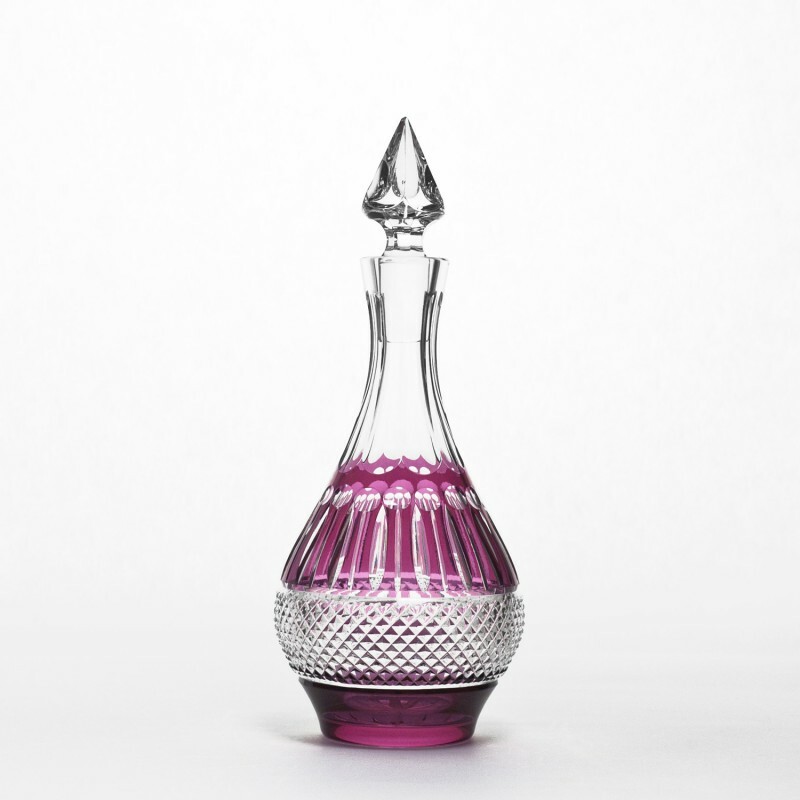 This stunning Raspberry Crystal Decanter by Gurasu Crystal has an elegant jewel-like shape with a brilliant cut crystal pattern which will add sparkle to any table. A perfect gift for her, for the home or a special wedding gift. Gurasu is a London based fine crystal company founded by Joanna Maya. Based on a philosophy to create fine and unique crystal pieces using fine craftsmanship, Gurasu Crystal is hand made, mouth-blown and lovingly hand painted in both UK and Europe.